Today GK Solve share a best pdf book of Bangla Subject for west bengal primary TET 2017-18.Primary Exams is coming soon. So candidates are start thare Practice for examination. GK Solve help you every day to give you study materials. Are you looking for Primary study materials ? Here is the best place for you.You can download daily various study materials from our site just one click and frer of cost. 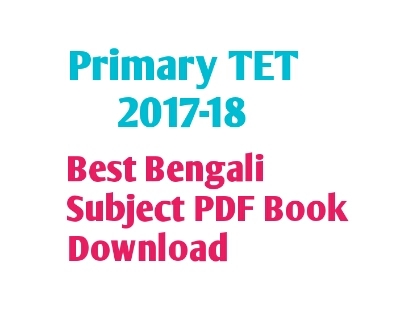 West Bengal Primary TET Examination 2017-18 Study materials download link provided here. Best Bengali Subject pdf book, download link given below. So Readers, are requested to download this pdf book as soon as possible and make your practice better. Disclaimer : GK Solve is not owner of pdf and not to scan. GK Solve Collect this pdf from Social Media.So any problem from original book publisher, please Contact us and we will remove the link from our website.